Nearly opaque deep purple color. Toasty, fruity aromas of boysenberry pie a la mode, spiced toffee, hint of alpine herbs, and candied sage and gherkin with a satiny, bright, fruity medium-to-full body and a smooth, involved, long creme brulee, white chocolate craisins, pickled beets and melon, and dusty minerals and slate finish with fine, silky tannins and moderate oak flavor. A juicy, spicy palate-pleasing malbec from down under. 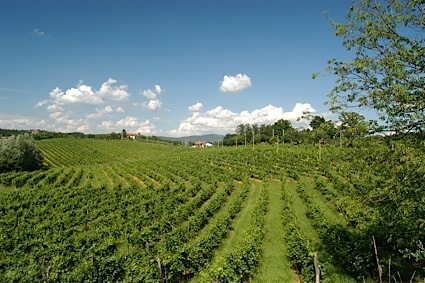 Bottom Line: A juicy, spicy palate-pleasing malbec from down under. 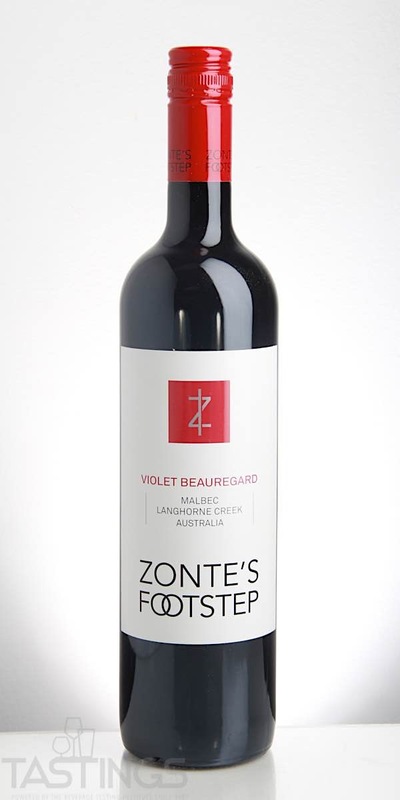 Zonte’s Footstep 2016 Violet Beauregard, Malbec, Langhorne Creek rating was calculated by tastings.com to be 92 points out of 100 on 5/23/2018. Please note that MSRP may have changed since the date of our review.